Educational Technology Guy: Doodle 4 Google Winner - 2nd Grader wins big! 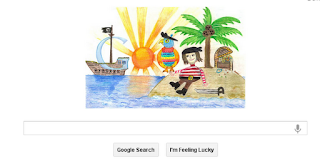 Doodle 4 Google Winner - 2nd Grader wins big! Google has announced the winner of this year's Doodle 4 Google competition. Dylan Hoffman, a 2nd grader from Wisconsin has won. 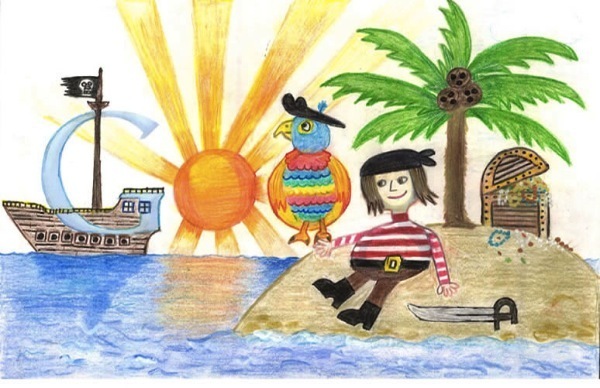 This year's them was "If I could travel in time, I'd visit..." Dylan drew a pirate scene with the Google logo in it. He has won a $30,000 college scholarship, Chromebook computer and $50,000 technology grant for his school. His doodle is today's Google logo and will also appear on a special edition 64 count box of Crayola crayons. The National Winner was announced yesterday, May 17th at the national award ceremony in New York City. The winning doodle will be posted on the Google homepage on May 18th. All 50 State Winners were in New York for the ceremony and will have there doodles displayed at the New York Public library and all 250 State Finalists will have theirs displayed in local exhibitions in their own state.